Feeding back to students the responses to their feedback and the outcomes of any meetings (‘closing the loop’) is a vital part of a successful student representative system. ACES use an action log template to summarise discussions at staff-student committees, and feedback on outcomes of agreed actions. The department of Natural and Built Environment in Development Society has produced undergraduate and postgraduate versions of their ‘You said, we did‘ flyer, to show how they are acting upon feedback from Reps. Conversations with students and staff at Sheffield Hallam suggest that we need to do more to ‘close the feedback loop’, whether in relation to student surveys, course reps, or other forms of feedback from students. – Make sure the actions from each meeting are made available to all students (e.g. on Blackboard). – Send the list of actions directly to the reps after the meetings, so they can publicise it. – Make actions meaningful e.g. instead of “will speak to … from … area of the University” put “Have spoken to … and this has been noted as a problem for this semester, however, next semester this should be sorted.” If an issue cannot be addressed, explain why. – Make sure you send actions to reps in a reasonable time frame. – Even when you can’t do what students want, it’s still good to feed back and say why this is. – Keep students updated on any developments in response to their feedback. – Feedback to the whole cohort of students where possible (e.g. post updates on course Blackboard site, social media, newsletters, website, etc.). – The learning centre’s Have your say blog is a good example of responding to student feedback and keeping students updated on developments. 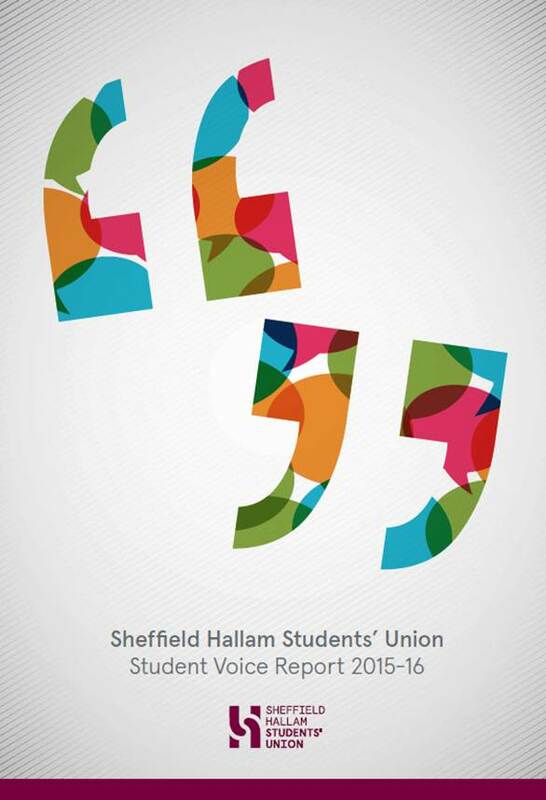 Sheffield Hallam Students’ Union produces an annual Student Voice Report. Read the 2017/2018 report .